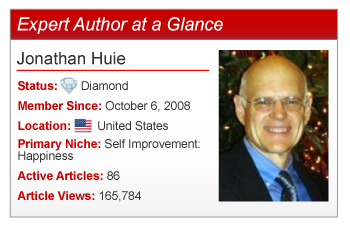 While writing his first book, Expert Author Jonathan Huie realized his publisher wasn’t going to market his book as much as he had initially expected. So he did what any author would do: try to get his book the attention it deserved. His first step was starting a website and a daily inspiration email list to attract and nurture followers. After searching the Internet for more methods to get his book into the hands of readers, Jonathan found EzineArticles.com. 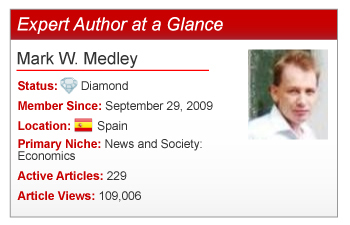 Currently based in South-East Asia, Expert Author and International Training Consultant, Mark W. Medley has published a variety of articles in over 60 niches. From his news and society articles to his collection of true to life stories, it is clear Mark is passionate about writing. Get an inside look at the team behind the scenes at EzineArticles. We launched this video series to give you a behind-the-scenes glimpse of the people who make the EzineArticles system successful. You will find out more about their role at EzineArticles, hear stories about what it’s like to work here, gain insider tips and maybe even get a peek into their personal lives. In the process, you will discover a little bit more about who we are as a company, a website, and as a team! Continuing the series is Courtney, Quality Control Editor on the EzineArticles Editorial Team. Find out what role she plays, what she would like every EzineArticles Expert Author to know, what she does in her free time, and why spring is her favorite season. Experts have SO much to do! It can be tough balancing all of the items on your to-do list, clearing your head, and focusing on article writing. 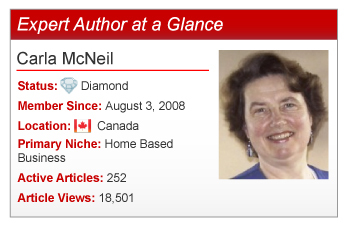 That’s why Expert Author Carla McNeil’s approach, while simple, is incredibly successful. 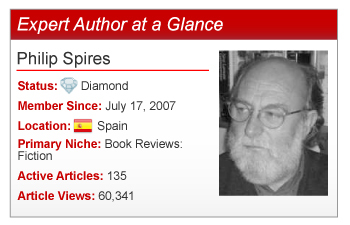 Every day, there is an expert author who stands out and catches our attention. 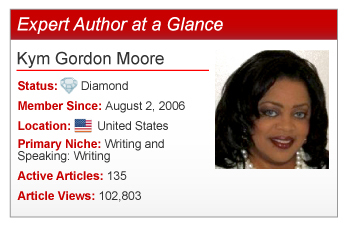 When Expert Author Kym Gordon Moore’s profile came across my desk, it wasn’t her impressive stats that caught my attention, nor was it her inspiring experience listed on her Expert Author page. 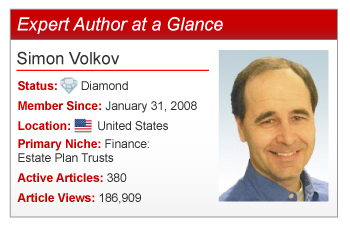 As an online marketing strategist who specializes in the highly competitive niche of foreclosures and short sales, Expert Author Simon Volkov’s success arises from his commitment to consistently provide informative content and his ability to plan strategically. 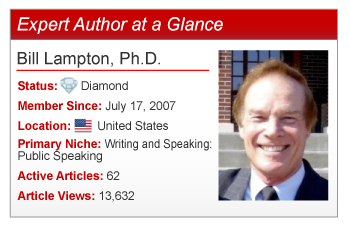 Expert Author Showcase: Bill Lampton, Ph.D.
After 23 years as a vice president of three colleges and a medical center, Expert Author Bill Lampton, Ph.D. launched Championship Communication. For the last 12 years he has served to help organizations and individual professionals strengthen their communication, motivation, sales, and customer service, through speaking, seminars, and executive coaching. What does Bill like best about being the president of his own business? “I start every day by shaving my boss,” he stated in his EzineArticles Expert Author Bio. 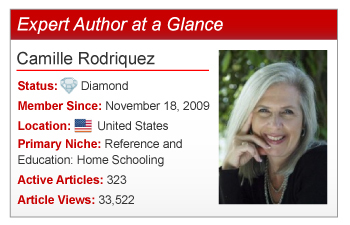 Hailing from the Lone Star State (Texas, U.S.A.), Expert Author Camille Rodriquez wears many hats and that’s not including a Texan ten gallon cowboy hat. As a business owner, homeschool parent, women’s pastor, and social media enthusiast, Camille skillfully demonstrates how to expand the scope of your expertise relative to your lifestyle while still providing highly relevant, quality articles for readers. Originally from the north of England, Expert Author Philip Spires has traveled around the globe, picking up moments of inspiration and compiling every detail in his commonplace book for future inspiration. Settling in Spain, Philip and his wife opened a small tourism business, which allowed him to attain a Ph.D. and dedicate more time to his unrelenting passion for writing. Philip embraces his dedication for the written word through various writing mediums and has an impressive collection of published works: two novels (Mission and A Fool’s Knot), a collection of short stories (Voyagers), a non-fiction book (50 of the Best co-authored with Martin Offiah), over a hundred book reviews, and another novel on the way (A Search For Donald Cottee, a parody of Don Quixote). 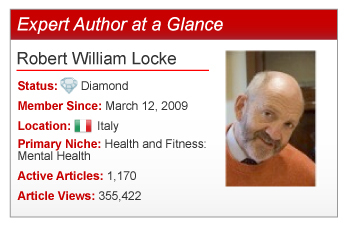 With an innate talent for writing, health enthusiast and Expert Author Robert William Locke has an insatiable appetite for information which is translated into his articles for his readers. Motivated by the unseen reader searching the Internet for information, Robert knows the value of determination is the key to being successful. With a stunning sea view near Gaeta, Italy, Robert rewards his article writing efforts simply: an Italian espresso coffee, lunch, a walk on the beach, or a swim in the sea. These rewards help Robert stay inspired and on task.